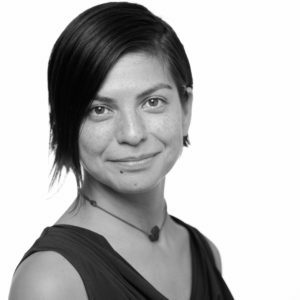 Diana Montaño is the Community Engagement Specialist for Reveal, developing collaborations with local newsrooms and communities as part of the Reveal Local Labs initiative. As a journalist, Diana’s reporting has taken her around the globe—documenting human rights violations in the Philippines, teaching video production to indigenous women in the highlands of Mexico, and reporting on economic development and the arts scene in Cambodia for the Phnom Penh Post. In the U.S., she has reported on low-income and immigrant communities of color as a radio producer for Spanish-language Radio Bilingue and NPR’s Latino USA, and as a public health reporter for the Milwaukee Journal Sentinel. She holds a master’s in journalism from UC Berkeley, and has won regional and national Society of Professional Journalists awards for her reporting. Diana’s media education work uses participatory and popular education techniques to make storytelling relevant and accessible to underreported communities. She has led community media literacy workshops and documentary video production classes with youth of color at the Maysles Documentary Center in New York City and the Media Enterprise Alliance in Oakland, California.